Temple Cycles hand make bicycles in Bristol, Southwest England. The company was founded by (a very cool guy) Matt - who after running a small vintage bicycle restoration business while studying Mechanical Engineering at University started designing his own, and this later evolved into Temple Cycles. I had been looking for a bicycle for a while when I discovered Temple Cycles. It was important to me to get a bike I really loved, enjoyed riding and that looked great. I have had bikes in the past that i've not liked and it has taken the enjoyment out of cycling. My husband and I went to meet Matt and visit Temple's workshop just outside Bristol so I could test ride some bikes and immediately I was in love! 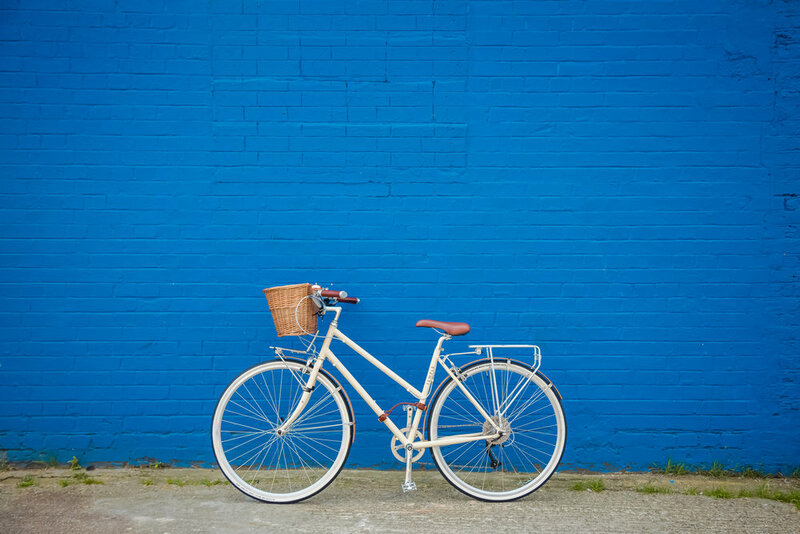 The bikes are made from a lightweight and durable steel frame and are painted with a highly durable coating which protects them and gives them the unique pastel colours. I went for a cream coloured frame but they are also available in pale grey, mint green and dark blue - you can also get one custom painted to order (yes I nearly got a pink one). 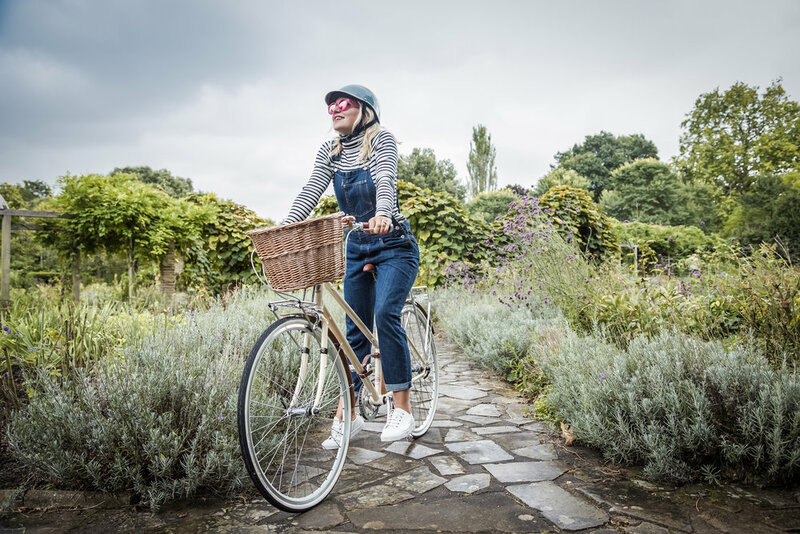 They come with a Brooks leather saddle which is super comfortable, I also went for the bamboo mud-guards and a wicker basket and a very satisfyingly copper dinning bell. I also opted for the leather carrying handle that fixes to the bottom of the frame - this is such a great idea and design and really works well. Another important thing for me to was to get a good looking, comfortable helmet to match the bike. I went for a Dashel Cycle helmet - which is a company that was founded by an ex-colleague of mine. They also manufacture in England using premium, sustainable materials. There is a massive lack of good looking cycling helmets on the market so I was really pleased to discover them. I really (really) love this bike. It is a joy to ride and is a privilege to be able to be able to support such an authentic, exciting British brand.